We recently visited Puerto Rico and explored the island’s public parks and forests. 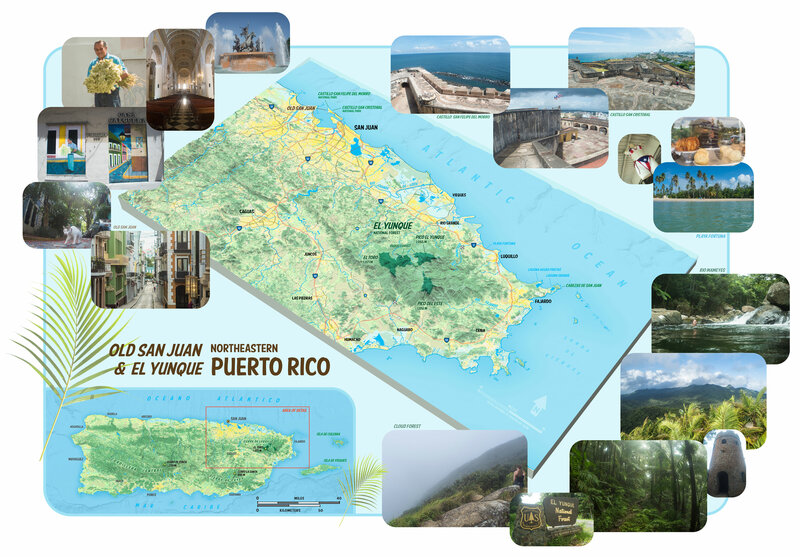 Spanish forts in San Juan are wonderfully preserved by the National Park Service and the El Yunque cloud forest is the only tropical rain forest maintained by the National Forest Service. These ares are public treasures and hard to capture by photography alone. You might have seen postcards with extruded maps of mountainous areas and tourist destinations. That’s the quick experiment here, but done just two-dimensionally.